Decatur is a small slice of Southern heaven in the peach state with its rich history and warm people. Anytime HVAC knows how important it is to keep these people moving which is why we are always available with AC repair, plumbing, furnace and any other HVAC needs. If you live in Decatur and run into an HVAC emergency, Anytime HVAC is here for you. To keep your Decatur home nice and warm, each part of your heating system must work smoothly. If any part of the system is compromised your system will require much more energy to run, costing you money in high energy bills. Worse, your system will eventually break down. Anytime HVAC in Decatur can service and repair your heating system or install a more efficient one. We also offer our customers financing options with convenient payment plans to make installing a new system affordable. When a technician from Anytime HVAC comes to your house in Decatur, they will find out why your furnace is not working and then fix the problem quickly. A furnace must be repaired correctly to prevent fire hazards and carbon dioxide from leaking into the indoor environment. Our technicians have all the training and certifications needed to fix your furnace and keep it running safely. 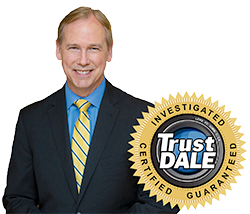 You can always trust the quality of work done by an Anytime HVAC repair technician. Anytime HVAC understands that keeping cool during a scorching Georgia summer is a high priority for homeowners in Decatur. That’s why it’s important to keep your AC system in top condition with regular maintenance service. Anytime HVAC can clean the coils to maximize performance and check coolant levels and pressures readings. Anything that your AC unit needs to run better, Anytime HVAC can do for you. This can help you save money and keep your unit running longer. Various parts can break due to age and wear on your AC unit leaving your unit unable to adequately cool your Decatur home. Condensers can develop leaks; compressors can fail and fan motors can quit working. When these things happen it’s good to know that Anytime HVAC can get your AC unit back up and running quickly. Anytime HVAC will only suggest installing a new system if it is the most cost effective option for you. An HVAC system that uses energy efficiently saves you money on your energy bill. Anytime HVAC is committed to improving energy savings through regular maintenance for our Decatur customer’s systems. Replacing filters, cleaning AC coils, and checking burners ensures your system is running at peak performance. Anytime HVAC is ready to handle your HVAC emergency whenever it happens. Anytime HVAC services your Decatur home or business 24 hours a day, 7 days a week. Our licensed and certified technicians can handle any size repair or installation. We’ve provided customers in Decatur and the greater metro area with fast, quality service for more than 15 years! In the city of Decatur, Georgia the municipal courthouse handles all first appearance and preliminary hearings for felony and misdemeanor charges to determine if probable causes exist to hand the case over to superior or the state court of DeKalb County. The courthouse also handles traffic charges, parking violations, some misdemeanors, and more located at 420 West Trinity place, Decatur, GA 30030. Decatur is a beautiful city centered on a historic square located in Atlanta’s metropolitan area. This city takes pride in their history. You can see this first hand by visiting The DeKalb History Museum located inside the historic Old Courthouse on the Square in downtown Decatur. The museum collects and preserves the history of DeKalb County, GA and if you find yourself here in Georgia’s warmer months the History Center conducts Civil War walking tours. Now if you’re into a different type of history, Decatur offers one of the Souths best ghost tours. Bring your best walking shoes and a camera to capture this unique Decatur Ghost Tour with said to be paranormal activity at every stop. Decatur is also known for their wide variety of festivals. Decatur’s year-round festivals range from art festivals, book festivals, and for our older crowd, beer craft festivals. It’s a great activity for getting outdoors and exploring new things! If you want to feel like a local every Wednesday from 4 p.m. to 7 p.m., March 30 – December 31 and Saturdays from 9 a.m. to 1 p.m., April 2 – December 17 is Decatur’s Farmers Market. With plenty of picnic benches outside and seating to enjoy the outdoor market. Just 15 minutes away from Decatur is Stone Mountain park which is one of Georgia’s most popular attractions with a wide variety of family activities. Take a cable car to the top of the mountain, a scenic train ride around the base of the mountain, laser light shows, play on the SkyHike adventure course, and much more!